Working on the road can be challenging sometimes but is something that can be managed quite well with a bit of organization. As a software engineer, my job has a few requirements: I need electricity, I need Internet (although I can go offline if needed) and, above all, I need to get focused. Traveling is full of distractions: you are in a new place with many things to discover and you meet new people all the time (especially in hostels). On top of that, others may have a hard time understanding that you need to work as they are on holiday (“and you are too right?”) which means there will be constant temptations. I need to shield myself from all this. The best way I found to do that is to escape the hostel/holiday environment and go to coworking spaces. These are shared offices where you can rent a desk for a day/week/month, usually in an open space. It is a work environment and I’m surrounded by busy people so it becomes very easy to get some work done. Internet connections in these places are usually very good which makes my life much easier. Internet may be available almost everywhere nowadays, getting something done with it is is not always easy, especially when you need to download or upload huge files. Coworking spaces are also a good place to network and meet people in the same situation as you. There are becoming more and more popular and you can find them in almost every big cities around the world. ShareDesk and Desktime are good ways to find them. When there are no coworking spaces and the hostel is too busy, I find a café or something similar. 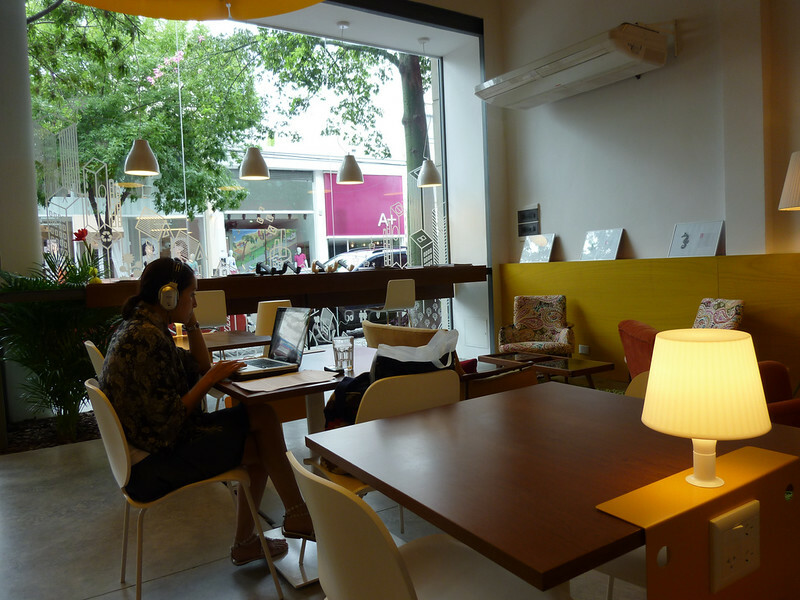 A good pair of headphones should be part of the standard digital nomad toolkit anyway.